Merry Christmas to all of you guys, our amazing subscribers! 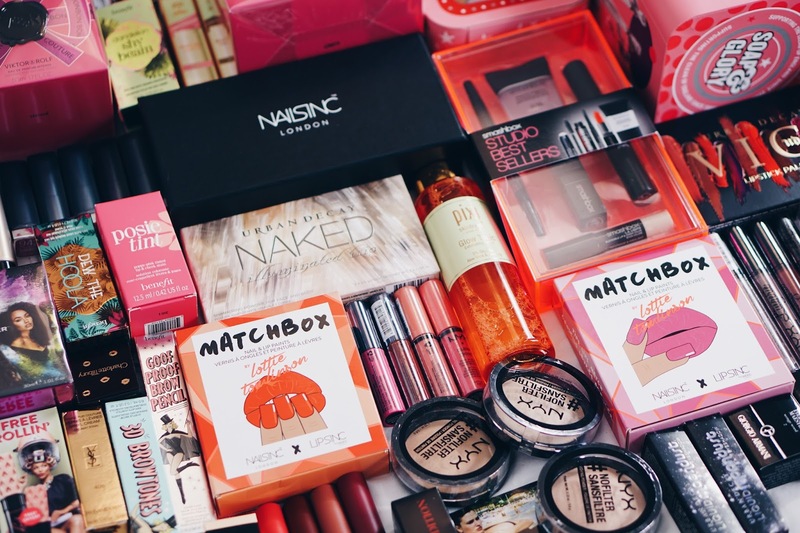 We really wanted to give you guys a Christmas present so we have put together this giveaway. We have decided to put together two giveaway prizes for two winners! 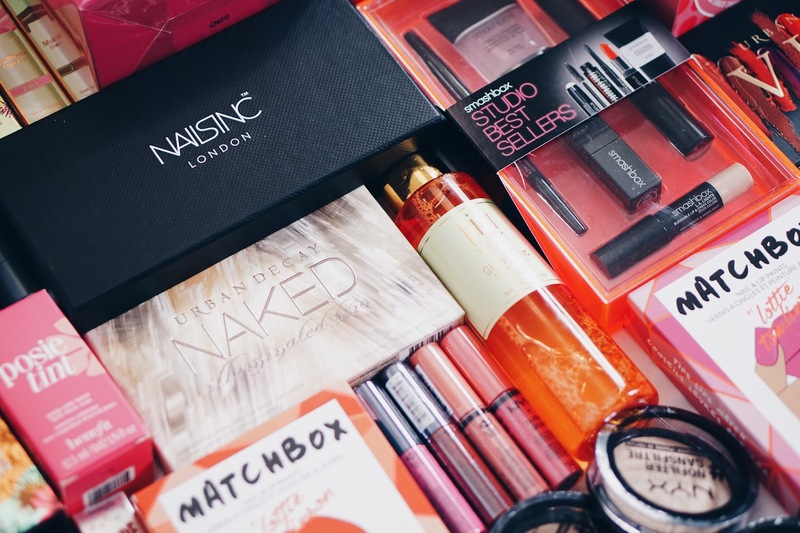 The first prize is GHD straighteners and the second prize is a huge beauty box filled with some of our all time favourite beauty products! All you need to do is enter below on the Rafflecopter forms! We just want to thank you all so much for always being so supportive by following our channel, always leaving the most lovely comments and being the most lovely viewers ever! We wish you all the best of luck and thank-you for your support! The winner of the giveaway will be announced and tweeted from our Twitter account @LucyAndLydia on Sunday 1st January at 4pm UK time. The giveaway will run for one week only. We will not announce the giveaway anywhere else. We will then need to email the two giveaway winners to ask for your address so that we can post your giveaway prizes to you. The two prizes are the GHD Straightners and the beauty box of our favourite makeup products! 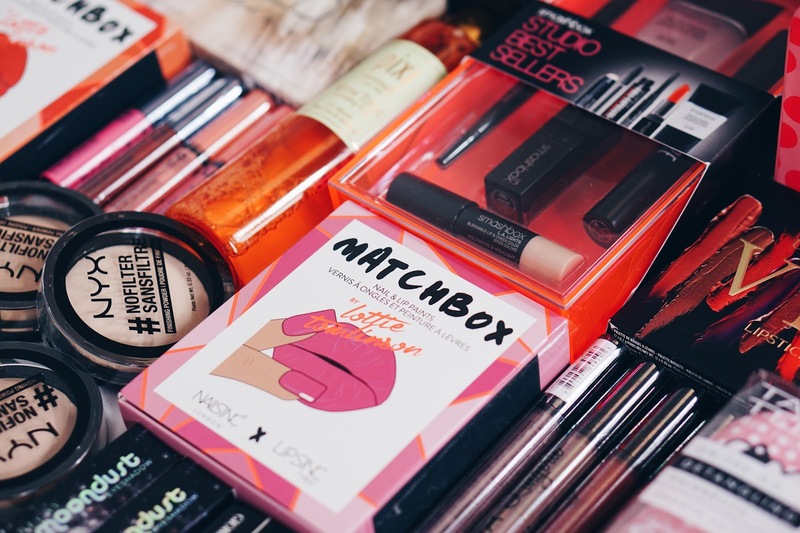 All these products are products that we absolutely love, we hope you love the prize as much as we do! All the products are brand new and unopened. This giveaway is open worldwide. Good luck guys! As most of you guys will know, we both have a little bit of a sequin obsession! This year has definitely been the year of sequins in our wardrobe. Wether it's sequinned dresses, sequinned tops or sequin jackets, we have and love them all! 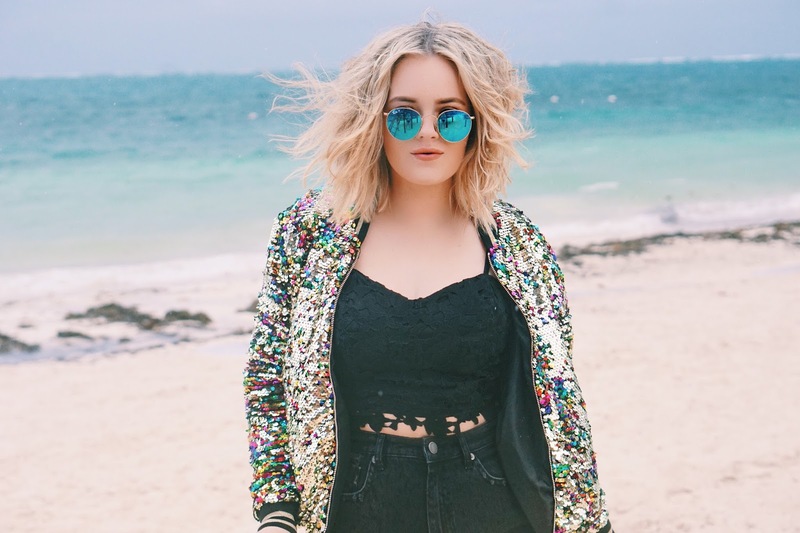 We've both been on the hunt for the best sequinned jackets and we've finally found them! Jaded London has always been our favourite brand for sequinned pieces, so we knew that we were on to a winner with these sequinned bomber jackets! Bomber jackets have been so on trend and one of our favourite clothing pieces this summer, so when we discovered these Jaded London sequinned bombers we knew that we would be obsessed with them! We've been on the look out for the sequinned bomber jacket that Taylor Swift wore on her 1989 Tour ever since we saw her perform at Hyde Park last year, and found out that it was the Jaded London Mermaid Sequin Bomber Jacket that she wore on stage! Of course, because this jacket has been so so popular, it went out of stock so as soon as it was available again online we had to get our hands on it. It's definitely my favourite piece in my wardrobe, and I've worn it so so much already. I know that it's also going to be such a timeless piece and something that I will love to wear forever. Jaded London also have a matching swimwear set to go with the sequinned bomber, the Jaded London Mermaid Sequin Triangle Bikini Top and the Jaded London Mermaid Sequin High Waisted Bikini Bottoms. When I saw this online I knew that I had to get them both to have a matching outfit. I loved wearing these in Mexico and I felt like a sparkly mermaid! This swimwear set is also embellished with the same mermaid sequins and I love the style with the high waisted bottoms and embellished sequinned top. If you love sparkly things you will love this! 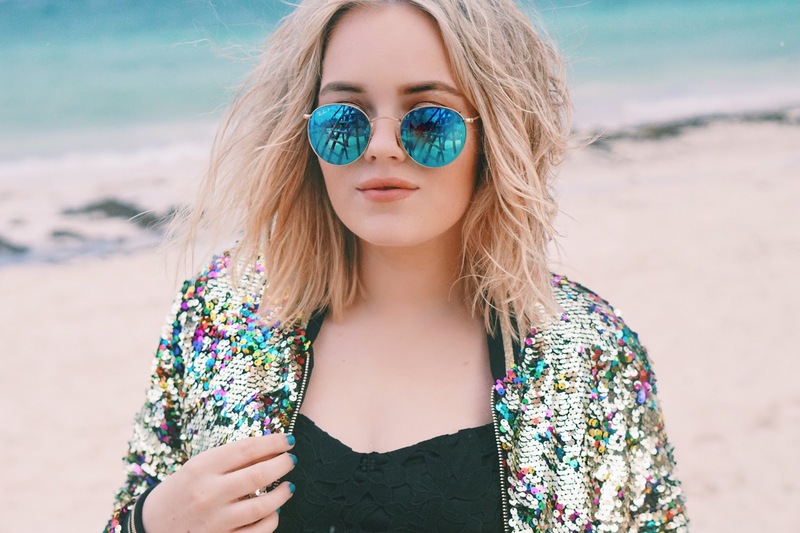 It's Lucy here now and I also just wanted to talk to you guys about my sequinned bomber jacket! As I loved Lydia's jacket so much I had to get myself my own sequinned bomber. 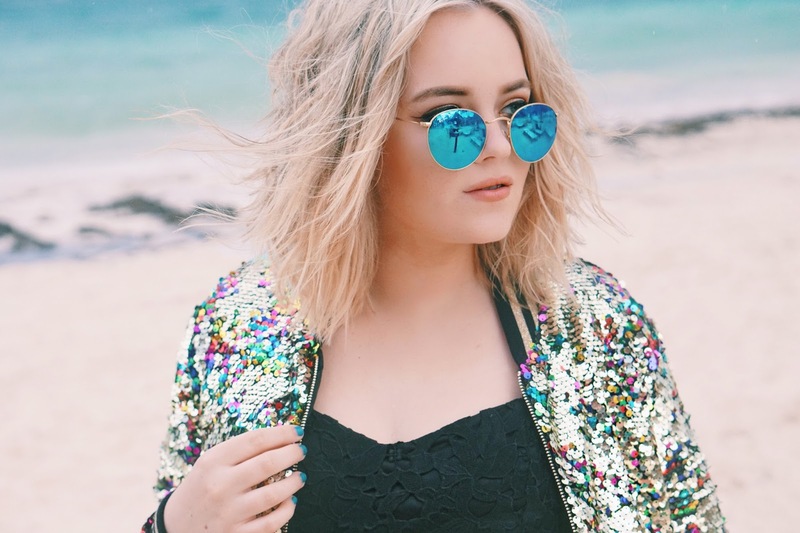 I decided to go for the Jaded London Rainbow Sequin Bomber Jacket as this look amazing in the summer for festivals and also at Christmas season to dress up an outfit. I always love accessorising my outfits with gold jewellery so this jacket is the perfect statement piece to compliment all of my jewellery. Let us know in the comments if you'll be joining us in the sequin craze!